Midway has operations in Victoria, Queensland and the Northern Territory covering all stages of the woodchipping process – from plantation to export. 19 hectares of freehold land adjacent to GeelongPort. Two woodfibre mills (separate plantation and native processing facilities). Three stockpiles including three reclaimers with 200,000 green metric tonnes (GMT) total capacity. Capacity to process and export up to 1.8 million GMT per annum of hardwood. 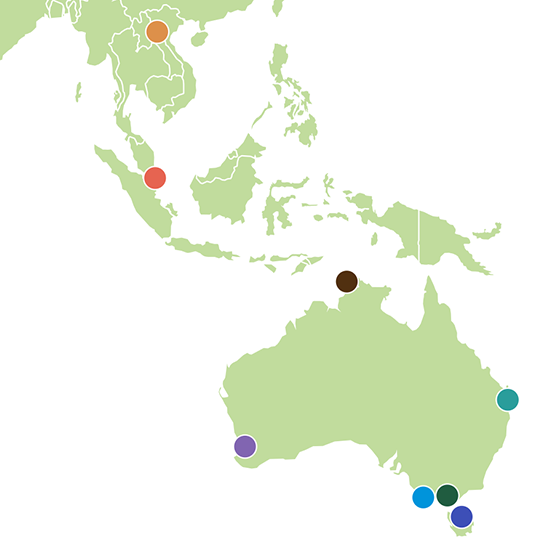 Sole woodfibre exporter from Port of Brisbane – provides geographic and marketing diversity. 15 year leases on a four hectare site with the Port of Brisbane for producing, storing and loading. GrainCorp provides toll ship loading. 300,000 GMT per annum softwood export capacity. Hardwood exports commenced in 2016. Capacity of 300,000 GMT per annum. Stockpile capacity: 100,000 GMT of softwood and/or hardwood. South West Fibre is the first plantation hardwood processing and marketing operation in the Green Triangle – provides geographic and future market diversity. Myamyn – 1.2 million GMT per annum current site capacity + in-field chipping and ‘upstream’ chip and log storage. 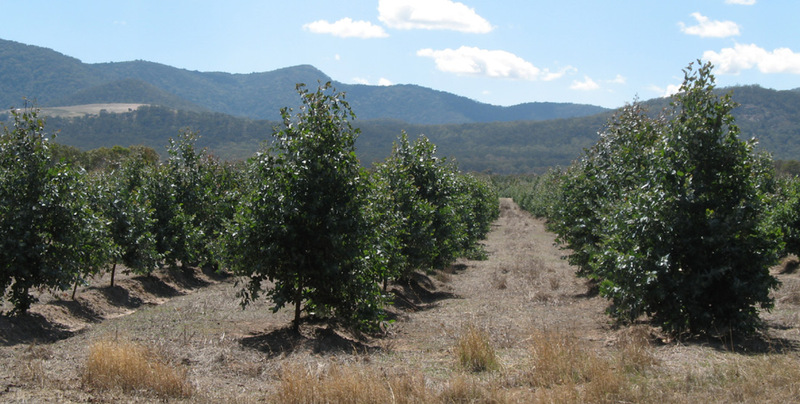 10 year x 1.2 million GMT per annum supply agreement with Australian Bluegum Plantations, signed in July 2010. 51% owned Joint Venture with Mitsui. Portside woodchip receival, storage and loading facilities contracted with GrainCorp. 80,000 GMT woodfibre stockpile capacity. 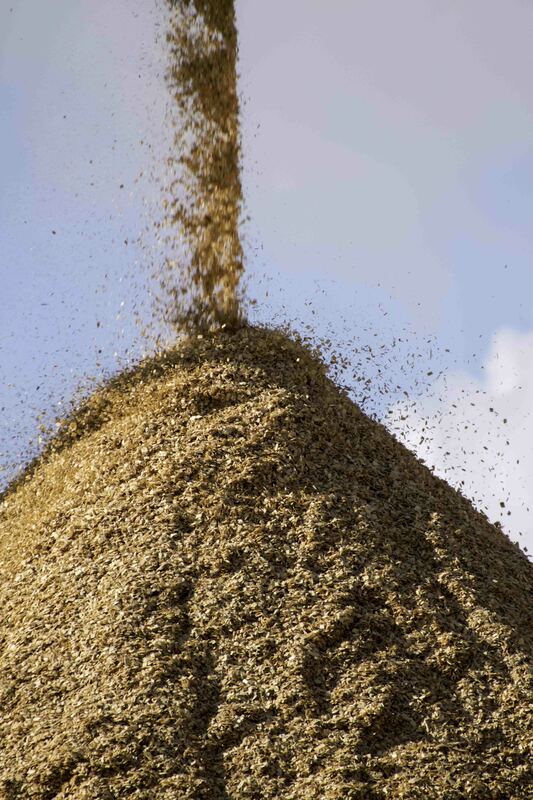 Woodfibre receival capacity of 1.8 million GMT per annum. Plantation Management Partners Pty Ltd (PMP) provides exclusive forestry management services to the 35,000 hectare Tiwi Islands’ forestry plantation project, and provides woodchip marketing services to the project. Acacia mangium woodchip exports commenced in November 2015 out of Port Melville. 400,000 GMT per annum export capacity. PMP provides plantation management services to timber investment management organisations in Cambodia and Laos. NHW shipments commenced Sept 17 from Artec Pty Ltd – Chipping, stockpiling and loading facility at Bell Bay. Midway holds 25% shareholding in ADDCO. Forestry and logistics services business with bases in New Zealand and Australia. The main focus for the business is providing harvesting, haulage, processing and materials handling services. Through its subsidiary Plantation Management Partners, Midway manages plantations in northern Australia, Cambodia and Laos. Combined the group manages over 90,000 ha of plantation estate. The company owns significant areas of freehold land and manages plantation projects under a range of ownership arrangements. We bring over 20 years experience in softwood and hardwood plantation management covering all stages from land selection, establishment, maintenance through to harvesting. The procurement, processing, handling, marketing and export of wood fibre is a core component of Midway’s business. Midway engages contractors to harvest and haul timber to processing sites, including the company owned mills and to third party facilities. 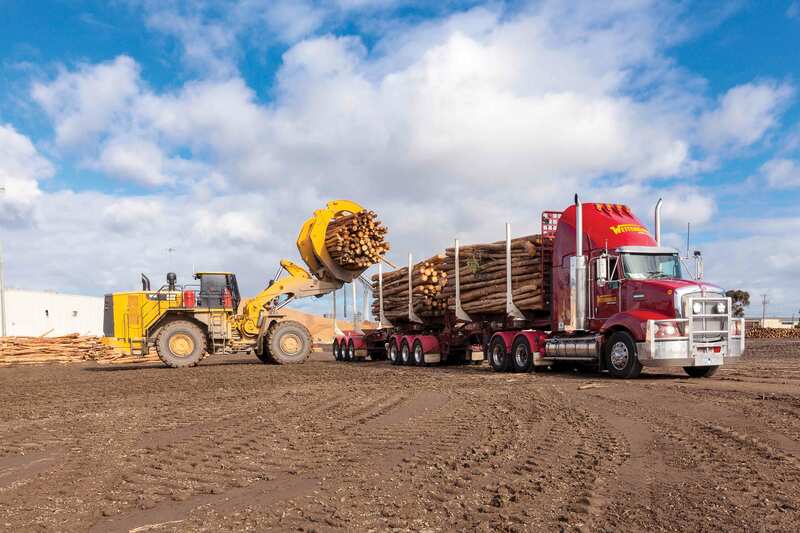 We operate in compliance with timber harvesting codes of practice in the states we operate in – Vic, SA, Qld, NT and NSW. Midway manages all aspects of harvesting for landowners plantations, including permits and approvals, roading, harvesting and haulage. Contact Midway if you would like to arrange a proposal for harvesting your plantations. Midway wholly owns strategic processing and export facilities in Geelong. Freehold site 19 hectares of land adjacent to GeelongPort. Two chip mills (large and small diameter log processing lines). Three stockpiles including Three reclaimers. Geelong site processes and exports plantation hardwood and native hardwood woodfibre. Facility upgrade in 2007 including construction of second chipping line and additional chip reclaimers. Ship loader and wharf upgrade in 2010 by GeelongPort. Queensland Commodity Exports (QCE) is the main chip exporter in Queensland, located at Brisbane Port – provides geographic and market diversity. Leased site with the Port of Brisbane for producing, storing & loading chips. Brisbane site processes and exports softwood and hardwood plantation woodchip. South West Fibre (SWF) is the first plantation hardwood processing and marketing operation established in the Green Triangle. Myamyn chipmill site processes logs and provides ‘upstream’ chip and log storage. Construction of processing facility in Myamyn completed in 2009. 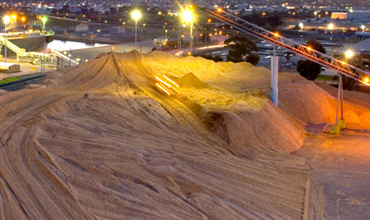 Portland stockpile – Portside chip receival, storage and loading facilities in Portland contracted with GrainCorp. Stockpile capacity and chip receival capacity of up to 1.8M GMT pa. Process and export hardwood plantation woodchip. 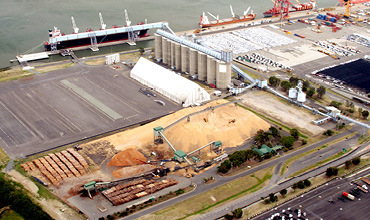 PMP manages the woodchip facility and loading at Port Melville. Stockpile capacity and chip receival capacity 400,000 GMT pa. 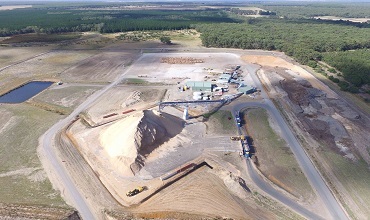 Port Melville site stockpiles and exports plantation woodfibre, produced by infield chipping. Six woodfibre products sold from four export facilities to major players in the pulp and paper industry (Plantation Hardwood – E. globulus, E. nitens and E. grandis / E.dunnii, Acacia mangium, Natural Hardwood – Sustainably managed regrowth forests hardwood and Plantation Softwood – P.carribea/P.elliotii ). Specifications for Plantation Hardwood, Native Hardwood and Plantation Softwood. Contact Midway for more information on log and woodfibre supply.